Relax somewhere unique this 2018 with our Cabarita Beach resort. Located in Casuarina, our wide range of accommodation offers the perfect break for those looking to explore the Tweed Coast, a picturesque destination in New South Wales that sits on the border of Queensland and the Gold Coast. 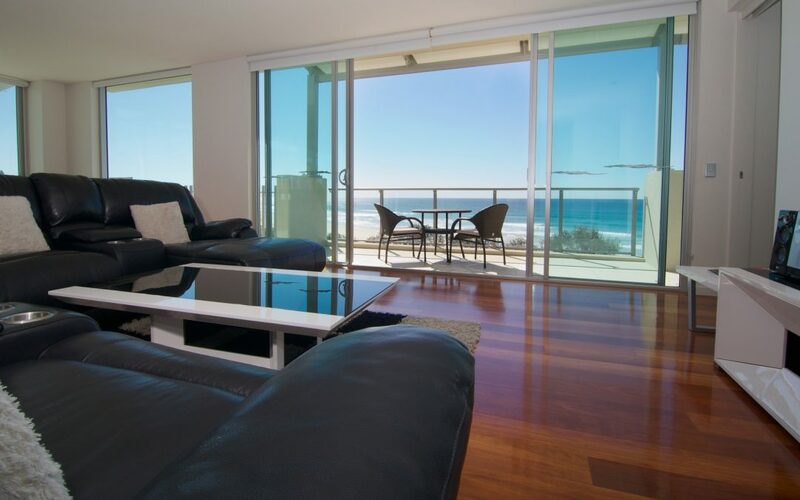 The Beach Resort Cabarita offers a stunning choice of short and long stay apartments perfect for families and group holidays, alongside superb guest facilities that can be enjoyed onsite. Start planning your relaxing break for 2018! Situated just moments from Cabarita Beach, our self-contained Tweed Coast accommodation offers fantastic options for families and groups. Book our 2 bedroom apartments for a spacious living and dining area with TV, modern kitchen, quality King or Queen bed with single beds, 2 bathrooms, and stunning views from the private balcony. Ideal for up to 5 guests in total. Our 3 bedroom apartments offer more spaciousness for larger families and groups. Enjoy a contemporary living and dining area with TV, modern kitchen, quality King or Queen bed with single beds, 2 bathrooms, and stunning views from the private balcony. For a maximum of 7 guests. We also offer superb 3 bedroom penthouse accommodation providing a more luxurious stay for up to 8 guests. Enjoy a huge living space, large bedrooms, 3 bathrooms, private pool, and a spacious private deck with BBQ facilities, outdoor seating, and sun loungers. Our 4 bedroom roof top apartment is our largest accommodation for group stays, offering a spacious living and dining area with plasma TV, modern kitchen, and 2 bathrooms. Enjoy a private pool and a spacious deck with BBQ facilities, outdoor seating, and sun loungers. Suitable for up to 9 guests.